The Sprite 3-Pump Warewash Dispenser leads the way in bringing modern technology together with simplified user interface. Auto voltage sensing allows either 115 or 220 volts to be connected to the single power input leads. 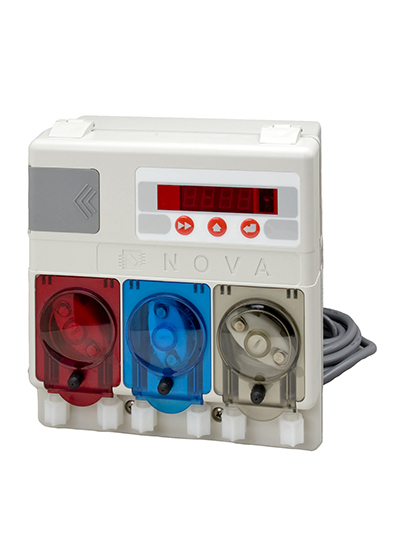 Simple, 3-button programing controls allows customers to customize the wash package for up to three products.